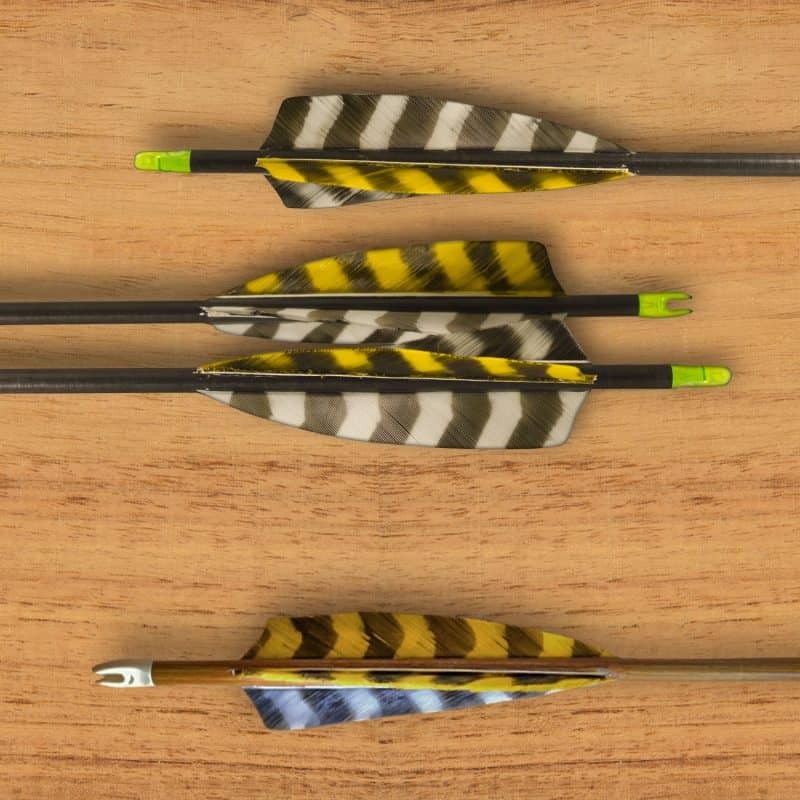 Just like choosing the right arrow, feather selection is something most shooters overlook. They assume all feathers are the same, within reason. This misconception can cause a lot of interference with overall performance. The first choice a shooter is tasked with making is whether to choose parabolic or shield-cut feathers. Parabolic feathers provide less wind resistance due to the lesser amount of material and overall shape of the feather — desirable for target shooters or shooters that don’t use the “feather to the nose” shooting method. Shield-cut feathers provide for a more stable, accurate arrow due to more material than a parabolic feather and the overall shape, but they do cost the shooter a few FPS when compared to a parabolic feather. The extra material on the back end of the shaft, or the point of the shield, provide better rotation (if you like a helical fletch) and faster shaft correction. This feather is great for shooters who use the “feather to the nose” anchor point or for hunters, who may encounter variable weather conditions from time to time. A general rule of thumb is the longer the feather, the more stable. A longer feather will cost you a bit of FPS though. It really comes down to whether you want a more stable shooting shaft with a bit more wiggle room for varying draw lengths or a faster shaft with less wiggle room for a varied draw length. FINAL VERDICT? Here at Bob Lee Bows, we prefer a 4” Shield cut feather. We believe this to be the best feather for most applications. Category: Arrows | Tags: bowhunting, feathers, helical fletch, parabolic, shield cut.